Austin, TX (April 16, 2019) – On March 21, Austin Police and emergency crews responded to the scene of a hit and run accident on Teri Rd. According to reports, a blue Dodge Ram was traveling eastbound on Teri Road at the same time a gold Toyota Venza was traveling north on Palo Blanco. The Toyota attempted to make a left turn onto Teri Rd when it was struck on the left side by the Ram. All occupants in the Ram fled the scene of the incident. All of the occupants in the Venza were transported to Dell Children’s Medical Center. The juvenile female, 5-year-old Illianna Martinez, passed away March 30 from injuries sustained in the collision. On April 16, police announced that they arrested the driver of the Dodge Ram, 22-year-old Jorge Granados, who was located in Slidell, Louisiana. Our deepest condolences go out to the Martinez family. This is an update to a previous article found here. A report published in 2018 found that Texas ranked 13th highest in fatal pedestrian accidents. During the first six months of 2017, over 263 people lost their lives in pedestrian accidents. Sadly, over 600 people end up losing their lives in these horrific incidents. Even worse, over 20% of victims killed are children under 14. When children lose their lives in fatal pedestrian accidents, they often leave behind families who suffer and grieve their loss. Losing a child is difficult under any circumstance, but knowing the innocent child lost their life due to the negligent acts of another makes the situation even more unbearable. In many cases, surviving family members are able to contact a wrongful death attorney in Texas to hold those at-fault accountable. 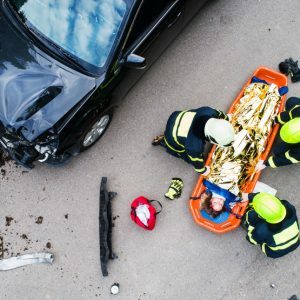 Texas pedestrian accident attorneys at the Benton Law Firm have years of experience helping those harmed get the justice and compensation they deserve. Our attorneys work diligently to ensure victims and their families obtain compensation for funeral and medical expenses and various other damages. Contact our accident injury attorneys in Texas at (214) 219-4878 to see what legal options are available for you.